The Workers' Compensation Act provides the rules and procedures by which workers' compensation claims are administered and decided. This system is an administrative system, and administrative judges will make substantive decisions about your claim. To laypeople, the fact that the workers' compensation system is administrative may suggest that it is less important or that its decisions are less binding than those made by a civil court and a civil judge. Although a civil court may review administrative decisions made within the workers' compensation system, this does not mean that you or an insurer may step outside the system to obtain a hearing in civil court. Before you or the insurer can file suit in a civil court to review a decision made in the system, you must exhaust your administrative remedies. The Boston workers’ compensation lawyers at Pulgini & Norton can advise you on this process and when to transfer your case from the administrative to the legal system. If an insurer denies your claim, and you contest the denial, you must take four steps. The first of these is an informal conciliation. Sometimes cases can be settled at this point, but if they are not, you or the insurer can appeal and have an informal conference with an administrative judge. If either of you disagrees with a conference order, you can appeal to have a formal hearing. The next step of the appeals process is to have the Massachusetts Reviewing Board review the decision made at the hearing. Only after the Reviewing Board makes a decision can you file a request for judicial review by the civil Court of Appeals. All of those steps must be taken in order to exhaust your administrative remedies. Moreover, what happens during the administrative process is critical. A civil court will not disturb an administrative judge's determination as to the credibility of a witness, for example. Generally, a court will not reverse the Reviewing Board's affirmance of an administrative judge's decision unless a different conclusion is required as a matter of law, or the decision is lacking in evidentiary support. 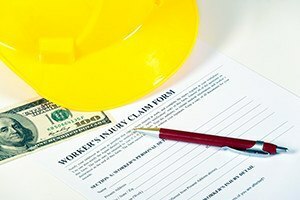 In fact, a workers' compensation insurer cannot even file an action to retroactively void an employer’s workers' compensation policy when there is a claim pending before the judges at the Department of Industrial Accidents (DIA). The court has ruled that an insurer must exhaust its administrative remedies with the DIA before suing in civil court, even if the suit is ostensibly about the policy, rather than the particular claim. When there is a contested claim, the DIA has the authority to determine issues related to the employer's insurance coverage as well, including an issue of fraudulent procurement. The parties do not have the right to litigate this issue in a separate civil lawsuit. The court can dismiss a case for lack of jurisdiction when an employer, insurer, or claimant tries to litigate coverage issues outside the claims process when there is a disputed claim. For most workers, it is crucial to recover benefits after suffering injuries on the job. It may be vital to retain an experienced Boston workers' compensation attorney at Pulgini & Norton to advise you on the exhaustion of administrative remedies and related matters. The workplace accident lawyers at Pulgini & Norton represent injured employees in Medford, Weymouth, Somerville, and elsewhere in Massachusetts. Call us at 781-843-2200 or contact us via our online form to schedule a free consultation.